150$ each but the price can be discussed. I bought them for 250 each. There are two of them, however you can buy one at a time if you wish. One is completely white, the other has a partly glassed door. Advantages:1. 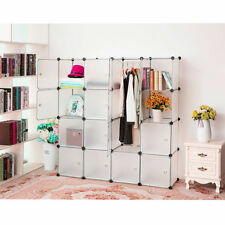 It's customizable---design it yourself to be different shapes and colors as wardrobes, cabinets, closets, bookselves. PP Plastic sheet steel wire fame. Colorful and stylish. High Gloss Modern Wardrobe Foyer Set Contemporary "Spot"
Here is a stunning quality antique English Art Deco burr walnut two-door wardrobe, made by Ray & Miles Cabinet Makers of Liverpool, circa 1930, in excellent original condition. Wood: Burr Walnut. Provenance: Liverpool, England, UK. The tallboy also boasts lovely walnut mirror matched sides. The compactum, boasting a three-sided front, displays a stunning walnut top with black ebony style moulding. The compactum sits on its original curved ebony style plinth, and the back features solid backboards. There are around 50-100 high definition super-sized pictures at the bottom of this page. Width:- 129cm. Height:- 158cm. This is a small Ladies or Children's sized piece, It currently has shelves to the top which can possible be removed and a rail fitted for cost price, the base has large deep drawers. This is absolute quality and made by one of the finest British furniture makers Maple & Co. The pine is all English cut timber, it has exquisite walnut and oak inlaid detailing all over, the pictures really don’t do it justice, the work involve in this commission is incomprehensible. Where to begin! The whole suite has lots of high end details like acanthus leaves to the top of the little cabriolet legs, and carved floral designs to the middle top which is also curved. Maple & Co Antique Furniture 1870 – 1950. The wardrobe also boasts lovely walnut mirror matched sides. Boasting a three-sided front, the wardrobe displays a stunning walnut top with ebony moulding. The wardrobe sits on its original curved ebony plinth, and the back features solid backboards. Both wardrobes have working keys, are structurally sound and look exquisite. There are around 50-100 high definition super-sized pictures at the bottom of this page. A very good looking and grand functional piece of furniture, the wardrobe can be split into two pieces for ease of transport. This one has a very rich Satin Walnut timber, it almost glows in the right light, there are little acanthus leaf details here and there, the original key is present although the lock isn’t that great, the feet are small Cabriolet legs. Both wardrobes have working keys, are structurally sound and look exquisite. We have deep cleaned hand condition waxed and hand polished both from top to bottom, this one has a small patch of timber missing from the bottom left corner, otherwise its stunning. Here is a stunning quality antique English Victorian Gothic pitch pine wardrobe, with attractive ebony detailing, circa 1810, in excellent original condition. The top section supports a drop down (detachable) thumb-moulded cornice, above a single door, which boasts a superior quality chamfered mirror. With these scented drawer liners, care of Pilbeam, of course! Presented as a set of six sheets in a Pilbeam gift box. Inner Spirit Gardenia Jasmine & Rose Scented Drawer Liners features Each sheet is scented with gardenia, jasmine and rose. Redd Leather is all about good taste, elegance and stunning design. Presented in a Redd Leather suede pouch. Design: Cognac Tan. Large Leather Shoe Horn features Shoe horn aids in putting shoes on and removing your shoes. Since then Pilbeam has left no surface unloved. Lead a sweet life with Pilbeam. Presented as a set of six sheets in a Pilbeam gift box. With fashionable, feminine designs. these Inner Spirit Scented Drawer Liners leave all your clothes fragrant and fresh - from your lingerie to your T-shirt collection. A very good looking and well made piece, hand carved and with a tapered glass mirrored door pane, the two shelves are height adjustable. There are around 50-100 high definition super-sized pictures at the bottom of this page. With these scented drawer liners, care of Pilbeam, of course! Presented as a set of four in a Pilbeam box. Inner Spirit Bergamot & Sage Scented Hanging Sachets features Scented with bergamot and sage. Antique English Art Deco Coromandel & Walnut Two Door Tallboy Compactum Chest of Drawers (Circa 1930). 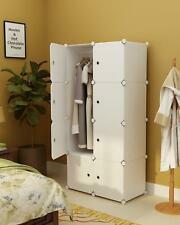 • Item: Compactum. This tallboy is in excellent original condition. The compactum retains all its original fittings and there are no missing veneers. If you're in need of a piece of furniture to use for storing belongings such as clothing, jewellery, linens, a computer, or a television set, armoires and wardrobes are suitable furnishings to consider. You can place an armoire in any room of the home to use as a storage cabinet. These pieces come in a variety of styles, colours, and finishes appropriate for working with any type of home decorating style. 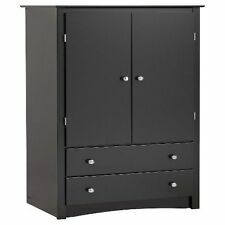 What are some common brand names of wardrobes and armoires? Hodedah Furniture Imports offers a variety of spacious wardrobes and armoires in contemporary styles. 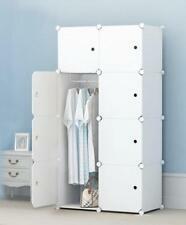 Acapella offers versatile transitional-style wardrobe armoires in pure white and a variety of wood finishes. Many of the furniture pieces are North American-made and feature non-toxic materials. Prepac makes armoires and standalone wardrobe closets in different types of finishes including white, black, and oak. Sauder Furniture offers a variety of functional and practical furnishings including armoires and standalone wardrobe closets. Inval offers armoires and wardrobes in a variety of colours and finishes including espresso-wenge and flat white. 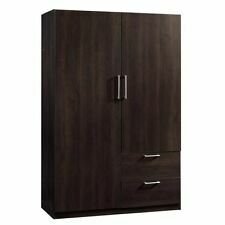 There are also many high-quality, unbranded armoires and wardrobes available. Some of these vintage and antique furniture pieces are made of solid wood such as mahogany, cherry, walnut, or other hardwoods. What are distinguishing features of an armoire or wardrobe? 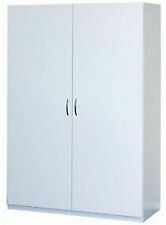 Armoires and wardrobes are designed to provide storage for clothing, lingerie, linens, towels, jewellery, electronics, and other household items. Shelves are their most prominent feature. 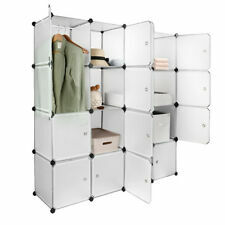 They might also include rods for hanging clothing or drawers that can store a variety of belongings. They often have protective doors that open and close on hinges to keep dust and lint away from the items you're storing inside them. 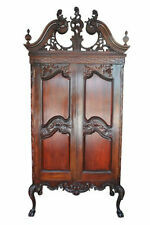 If you're looking for a high-quality armoire or wardrobe, you'll want to ensure that the piece is made of solid wood. Check for intricate details such as dovetailed or mortise-and-tenon joinery. Look for joints that are incorporated into the components of the frame. Reinforcements will be made with dowels or screws rather than staples or nails. These types of features help ensure that the furniture is long-lasting and will provide adequate protection to items inside. Which rooms can you put a standalone wardrobe in? Almost any room can benefit from the addition of additional closet space or storage space. In particular, the foyer or mudroom is a suitable space for these types of pieces. An armoire makes a good place to store jackets, coats, hats, snow boots, umbrellas, and rain gear if you don't happen to have a coat closet. In the bathroom, you can use a wardrobe closet instead of a vanity to store towels, washcloths, hand soaps, toilet paper, and other items. A wardrobe can also provide additional closet space in the master suite, a child's bedroom, or a guest bedroom.